Tucked away on the first floor of the Students’ Union building, you can find the University of Manchester’s very own Hollywood. 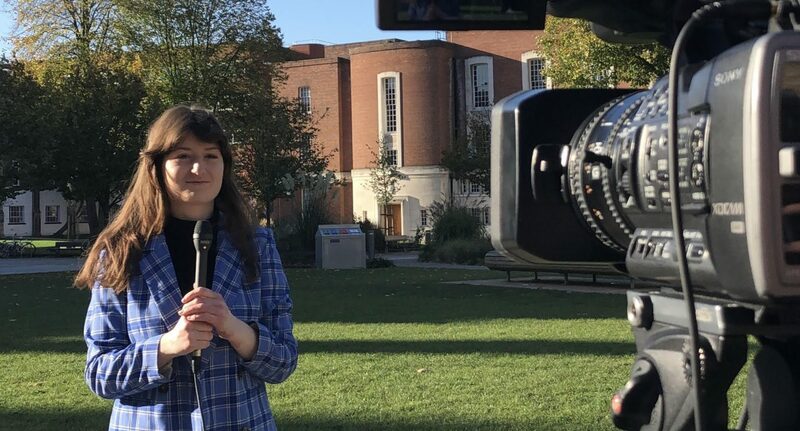 If the question is ‘where can I get hard hitting news, entertainment updates, and a biting satire of the student experience all in one place?’, Fuse TV is the answer. The TV station is part of the Manchester Media Group family along with The Mancunion and Fuse FM. From its humble beginnings in the Students’ Union basement in which it had “one computer”, Fuse TV has risen through the ranks to become the place where high quality video-based content and inclusive access to production meet. In their toasty new office, Station Manager Annie Costello and Deputy Station Manager Jenna Brannock recount the history of the station. “Last year not a lot of people knew about Fuse TV, who we were, and what we could do so it was a very small membership base. In their new home, the two explain how a TV series can come to life. “We start with some kind of light bulb moment,” Jenna explains. “You’ve got to create the vision from beginning to end, the visuals, the character of the programmes, titles, also locations and boring stuff”. But the seemingly serendipitous creation of video-based content does not come without hard work, and Fuse TV stress the importance of collaboration and the freedom to dabble in any and all aspects of video production. “[We cater for] anyone who wants to do anything. If they want to do a bit of camera work, a bit of editing, a bit of presenting, a bit of background running they can do whatever they want, they can swap, they can change, just give it a go,” Annie explains. “You can come to Fuse TV with anything, you can just come to have a bit of fun, or make a funny video, or you can come and build a portfolio and set your CV up with all these skills.